Join the AMC at The Foundry in Northampton. A portion of the proceeds will support AMC. Mike’s involvement most fully embodies the spirit of the award, in this case, given to an individual whose leadership and involvement is very much behind the scenes. Mike is a Steward of Trails . He is a wildlife biologist, a retired fire chief , a leader with the Boy Scouts, and a member of the New England Scenic Trail Committee. Mike is truly multifaceted in his outdoorsmanship. 1) Supporting the club in its conservation campaigns. 2) Identifying and responding to local issues within western Massachusetts. 3) Encouraging conservation work such as cleanups and invasive controls within chapter activities. Conservation is one of three important pillars at the AMC, next to recreation and education. The AMC is involved in a number of conservation initiatives from DC to Maine. Two pressing conservation initiatives for the AMC involve land conservation and clean air. Read more about these issues below and find out how you can get involved. Come spend an evening with the Appalachian Mountain Club to learn more about the New England National Scenic trail and hear music inspired by the trail, performed by NET Artist-in-Residence Ben Cosgrove. The evening will also include the opportunity to learn about the history of canoes in North America from writer Norman Sims and find out how you can take a canoe on the Massachusetts stretch of the Connecticut River Paddlers Trail. * Light refreshments and snacks will be provided. 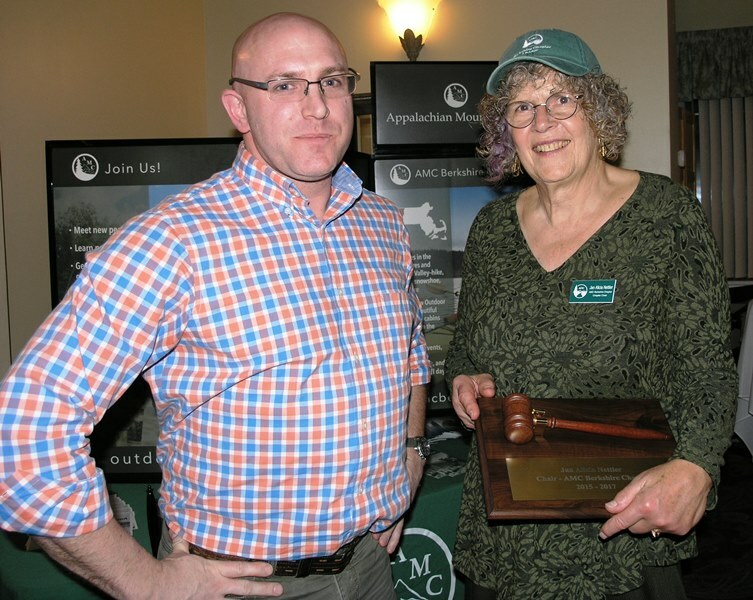 Please join us at the Berkshire Bash, AMC Berkshire Chapter's annual dinner meeting! This year we are requiring that the event fee ($20) be paid when you register through our Eventbrite page. Please register by November 1.